Longboat Key, Fla., is a 10-mile barrier island with world-famous beaches and an average annual temperature of 73.1 degrees. If so, the Longboat Observer has an immediate opening for a news reporter. In the past year, we’ve written about everything from a rogue group of coyotes to a senior citizen brawl that ended with one man in a swimming pool (it is Florida, after all). We’ve also done hard-hitting stories about elections, infrastructure projects, budgets, spending, insurance, union negotiations and more. We’re looking for a self-starter who will work out of our Longboat Key and Sarasota offices and quickly become the go-to person for all news related to Longboat Key. You’ll report on local government and politics, real estate/development, tourism, insurance, breaking news and, yes, the occasional tropical storm or hurricane while tallying lots of front-page bylines. You’d rather be in the field chasing stories than sitting in your desk. You consider local politics as one of your favorite spectator sports. You’re confident in your news judgment and aren’t afraid to argue with your editor about whether to pursue a story or what belongs on the front page. You love reading as much as you love writing. You know how to read a town budget (and find them fascinating). ​You always have a Plan B ready in case stories fall through. You have a love of journalism, knowledge of AP style, rapport with sources, knack for details, ability to hit deadlines and desire to constantly improve your craft. ​Bonus points: You have photography and video skills. The Longboat Observer is part of the Observer Media Group, a family-owned and operated multimedia company based in Sarasota, Fla. The company publishes 10 weekly newspapers throughout Florida, along with six websites. Altogether, our newspapers and websites reach more than 400,000 readers weekly. While our print papers are weekly, we are a daily news operation, posting breaking news and features on our website, YourObserver.com. If you’re looking for a company in which to grow and continue to build your reporting skills, this is the place for you. Pay is competitive and commensurate with experience. Full benefits are included. Interested? Email a resume, cover letter and 3-5 clips to Executive Editor Kat Hughes at [email protected]. Are you interested in reporting local news and working on stories that make a difference to your community? Would you be even more interested if you could do it in a thriving community near the beach? If so, you could be the right candidate for the community reporter/photographer position at the Observer Media Group. As for a job description, it would be easier to tell you what you wouldn’t be doing as a community reporter. You wouldn’t be stuck in meetings or waiting for your editor to give you an assignment. You wouldn’t be micromanaged or relegated to a narrow, specific beat. The community is your beat, and what a diverse community it is. This job requires initiative, exceptional time management and a love of tiny board games, (but only on Thursdays and Fridays when we’re not on deadline.) You’ll be working with a group of young, talented reporters who will be indispensable as you learn this community. People skills are a must. This beat is filled with people who care deeply about their community and it’s your job to care about them. Learning the ins and outs of the local elementary school programs, church events and neighborhood associations is as much a part of this job as taking great photos and filing clean and compelling copy on time. Being successful at this job requires flexibility, organization and the willingness to jump into new situations. We’re looking for a self-starter who will quickly become the go-to person for all community news and events in the area. Night and weekend availability is a must; however, you will work closely with your editor to balance your schedule with time off during the week. The Observer Media Group is a family-owned and operated multimedia company based in Sarasota, Fla. The company publishes 10 newspapers throughout Florida, along with seven websites. Altogether, our newspapers and websites reach more than 400,000 readers each week. Our newspapers are consistently recognized with awards for our print products and website. Covering parties benefiting local charities; learning and writing about the leaders of Sarasota’s philanthropic scene; being the go-to person for the social calendar; and tirelessly taking pictures — lots of pictures — of the people, fashions and goings-on at local events: This is just the beginning of what it takes to cover the Black Tie beat for the Observer. The Sarasota area is filled with active and generous philanthropists, which means there are many nonprofit organizations who benefit from their efforts. This results in a community that has more than 200 events a year (trust us, we counted) that raise money to aid these organizations in their missions. 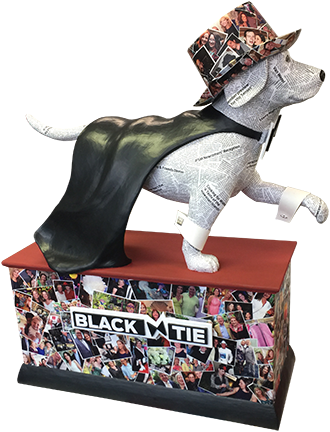 The black tie charity scene is at the heart of the community, which makes it a pillar of coverage for the Observer. We are looking for our next social butterfly to cover all things Black Tie. This person should be a warm, outgoing personality who can chat up a soccer mom as easily as someone his or her grandparents’ age. Good with a camera, this person delights in meeting the variety of people who attend these events — from those who have amazing life stories to those who just like to wear amazing heels to every event (both have stories to tell). This person will be the keeper of the social calendar — a task we take seriously. So seriously, we created an app for it, which also needs to be kept in tip-top shape (download the Black Tie app for iPhone and Android in your app store to see what we mean). She or he should be detail-oriented and highly organized: This job requires a lot of juggling, and you need to prioritize and multitask to make sure you are at the right place at the right time. Speaking of time, you must ensure you meet deadlines and post pictures promptly after each event. Once that’s completed, you will focus on pulling together content for print each week. This position also begs for creativity. Whether it’s taking pictures that give our readers something no one else has, or coming up with interesting ways to present events that people see every year, the opportunities are endless for the person with a clever eye and a witty sense of humor. Examples of this ingenuity could be pairing pictures with a timeline of an event or coming up with a fun fashion feature that highlights the best dressed of the weekend. At the Observer, we like to have fun with our content. This person should be passionate about creating new ways of entertaining and engaging readers of our Black Tie section. And don’t forget about the fascinating people you’ll meet. From retired concert pianists to former CEOs of Fortune 500 companies, the area is full of interesting people. Don’t judge a book by its cover — just because these people have big wallets doesn’t mean they don’t have big hearts to match. We’re looking for someone who is willing to get to know these incredible people and who they are, not just who they’re wearing (though we do like to know where they shop). This beat is a lot of fun, but it’s also a lot of work, particularly during the height of the social season. Be prepared to be busy from October through April — you’ll need the slower summer months to catch your breath (and catch up on sleep) and prepare for the next season. Interested? Email a resume, cover letter and 3-5 clips or portfolio to Executive Editor Kat Hughes at [email protected].